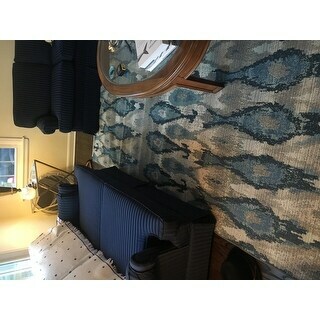 This rug is absolutely beautiful! I have 4 dogs so any indoor rug usually gets ruined. I am using this in the living room. It's perfect, easy to clean, and looks way more expensive than it was. Why didn't I do this a long time ago?! I am very pleased with my purchase! 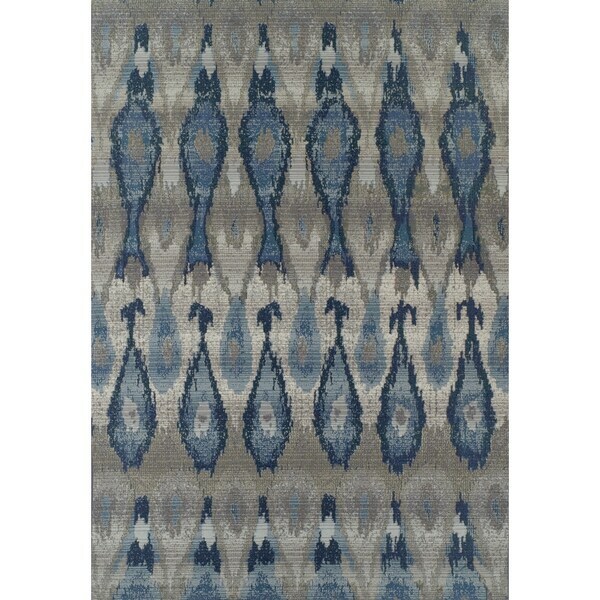 Indulge in comfort under your feet and add style to your patio or living area with this Addison Freeport Ikat rug suitable for indoor or outdoor use. 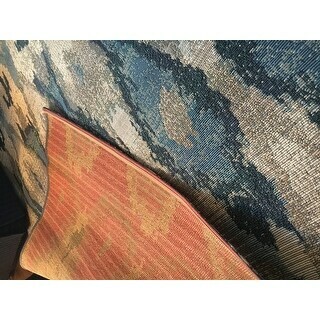 This area rug's flat weave is easy to maintain. 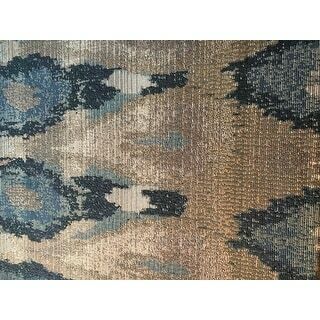 The pattern of this rug is gorgeous, but it is more of an outdoor rug. It is rough texture and is VERY thin. A rug pad is definitely needed. I love this rug. The colors lean a little more towards a bright blue rather than the Navy as shown in the pictures online but it is still very pretty. Cant wait to use in our new pool house.